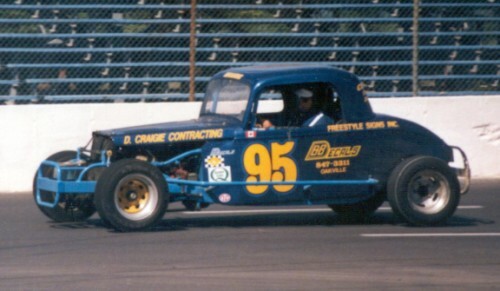 Chuck started his racing career driving a car loan to him from his brother Brian. That was in 1990 and the Canadian Vintage Mods had a 42 race schedule which he ran 40 of those events. The year started with a steep learning curve driving a car with year old tires as the club changed to the faster Hoosiers. The club allowed the old tire to be run off unfortunately the tire were a full second slower. By August we debuted the new car which was the car Steve drove for a few years and updated to the new tires. The first time out was a challenge as Chuck hit the inside wall at Kalamazoo Speedway in only the second practice session of the night. The car was repaired and the rest of the year proved to be alot more fun as he got more competitive as the year came to a close. The next year we built a new car and proved to competitive right out of the box. The year saw Chuck earn his first checkered winning a few heats and the little feature. The night of the little feature more then 40 cars showed up causing the club to have to run a little feature. Being in the first heat that night allowed only two cars to transfer to the feature the remaining were sent to the little feature. Chuck was able to work his way to fourth but it wasn't enough, sending us to the outside of the front row for the Little feature. We were fast right from the green flag and drove away from the field, winning the race green to checkered. The year ending with Chuck earning the Most Improved Driver Award. 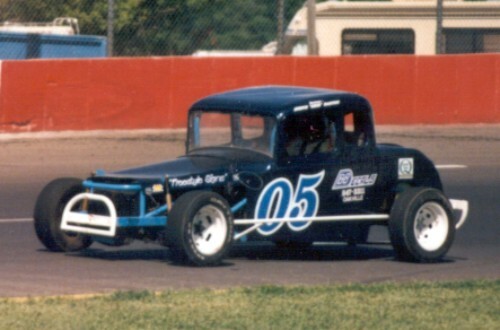 In the fall of 1993 we purchased our first Modified from Ed Ballinger and proceeded to rebuilt it for our first season at Lancaster Speedway. The season was full of ups and downs as we started the season with our first top 10 and first DNF in the same night as double features were run. This would prove to be the end of the season has personal events ended our season. 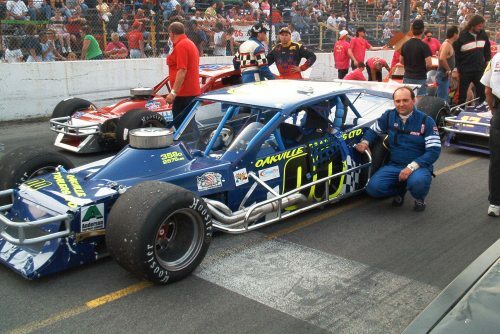 We decide to try our hand again with the modifieds by purchasing a new Troyer Mod made to fit Chuck more comfortably. We continued with the modified for a few more years before handing over the reins to Larry Jackson.